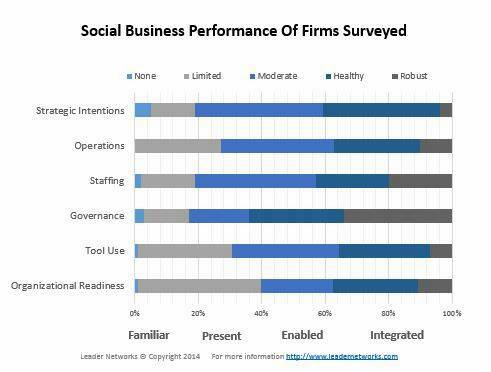 50% of firms don’t differentiate social media marketing from social business: ten top insights from the 2014 social business benchmark study by the Leader Networks. 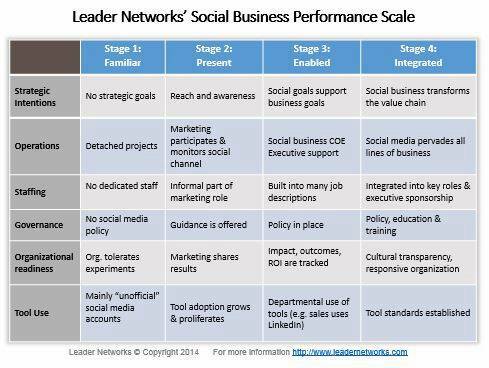 The Leader Networks released the results of the 2014 edition of their social business benchmark study. Those results demonstrate once again that marketing still largely dominates the social media budget in most organisations, big or small, surely with a key focus on paid media leaving earned media under-resourced. It also seems that social collaboration is still not a priority for most companies and there is still a long way before fully leveraging at all social analytics and the voice of the customer which should both be at the heart of any digital transformation programme. Read Andrew Grill‘s recent LinkedIn post ‘Using a broadway show to explain the differences between social media and social business‘. How do those 10 social business insights compare with your personal experience with social media and social business at your organisation? What maturity of digital transformation have you achieved so far? I was curious if you were going to bring up the definition of social business because it is often misunderstood. For us, in helping our clients the end-result is: ‘an organisation whose culture and systems encourage networks of people to create business value‘. Building a business case around implementing tools like Yammer, Chatter or IBM Connections have a place in financial services. TD is a great example of how they’ve become a social business to better serve the customer.